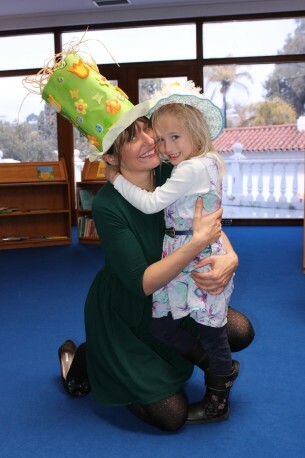 Easter Bonnets Galore at British School Marbella | Marbella Marbella – Adelante! Youngsters showed off their creative talents during an Easter Bonnet parade at The British School of Marbella on Friday March 22. Dozens of children aged between two and eight entered the competition while parents watched the event in the school hall. Those with the most egg-cellent bonnets won a chocolate Easter egg for their efforts. Teachers also competed in the event with Nursery teacher Mrs O´Regan’s bonnet winning the competition.